Collett Goods number 3205 is a favourite locomotive of mine and I was very happy to see it, albeit briefly in the rain on my last visit to the South Devon Railway (click here for more). The locomotive has been repainted in lined BR Green which suits it very well in my opinion. 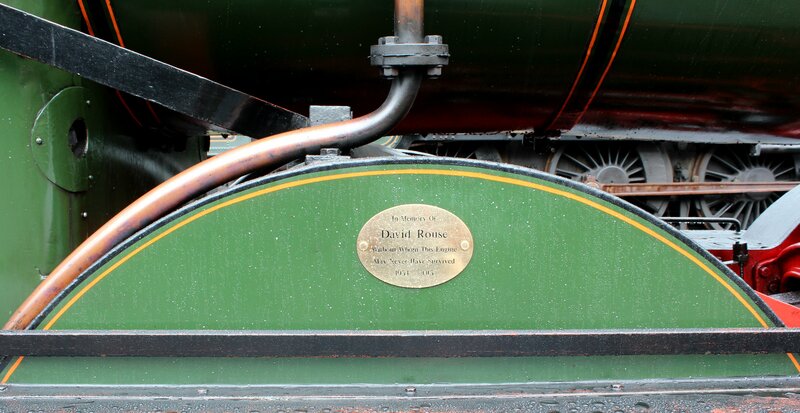 I noticed on the steam engine’s middle splasher a plaque (see above) dedicated to David Rouse, who sadly passed away in 2013. David was the principal Trustee of the 2251 Fund who look after this preserved steam locomotive. 3205 was purchased directly off British Railways western region after an appeal was started by David Rouse. If it wasn’t for David, this class of GWR locomotive would have disappeared into the history books. There are many of us now who did not see steam engines working in normal everyday service, and our trips on preserved lines are our only real experience of steam, so we owe a lot to those early preservation pioneers. If it was not for David Rouse, our experience of steam would not be the same and so I have to say a massive thank you to David for keeping such a beautiful 0-6-0 alive. To read more about David Rouse, please click here. 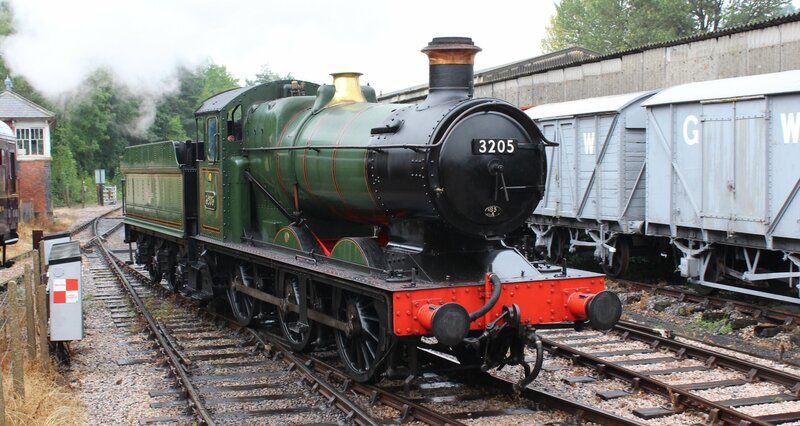 3205 is the youngest 0-6-0 steam engine in the UK and has featured previously on this blog, please click here to read more. Totally agree, saw this locomotive 2 years ago and immediately bought a gauge 00 model of it!